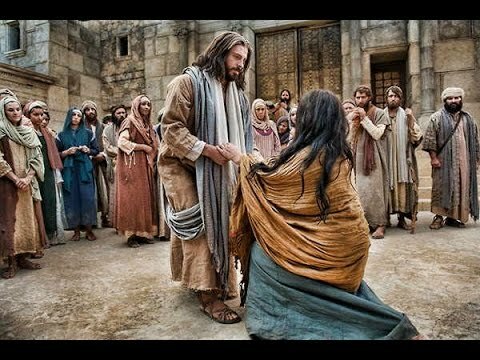 The reason why Jesus’ message of forgiveness was so difficult for the Pharisees to understand was because they themselves had never truly experienced forgiveness of a God who loves them so much that he does forgive them. Their notion of the “law,” of religion, was all those things we “have to” do, but there was no joy in it. Anyone who enjoyed life for them was a sinner, and the Pharisee’s only justification in living such a miserable, loveless existence was the fact that others would have to “pay” for their misdeeds. When they caught someone in sin, they wanted the maximal penalty, and there was no room for any love or mercy, because like the older son in last week’s parable, they lived not as sons and daughters of God but as slaves of a severe master.